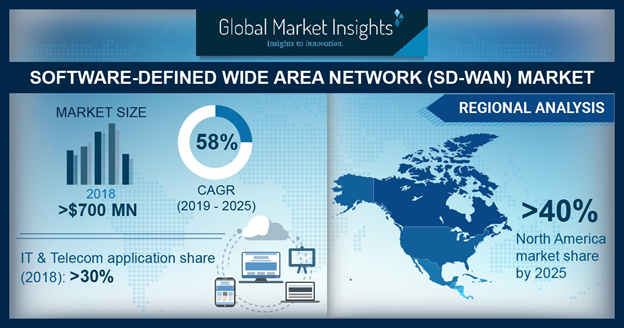 SELBYVILLE, Del., February 14, 2019	(Newswire.com) - The SD-WAN market is expected to grow from USD 700 million in 2018 to USD 17 billion by 2025, according to a 2019 Global Market Insights, Inc. report. The industry growth is driven by the extensive adoption of SD-WAN solutions, which will unburden the organization with an expensive legacy infrastructure maintenance. The traditional WAN infrastructure relied on expensive hardware appliances to provide connectivity to remote locations. By deploying SD-WAN solutions, organizations can reduce those expenses.